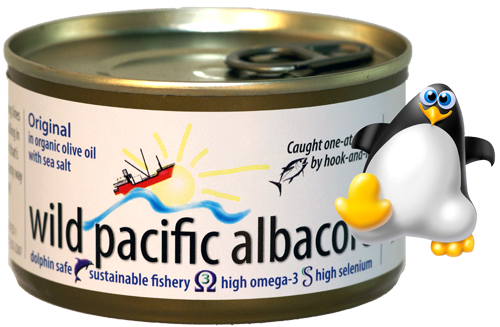 Our European-style canned albacore adds a touch of olive oil flavor to your recipes. This extra-moist albacore means you can use less mayonnaise or other dressings. What a delicious choice for when you're in a Mediterranean frame of mind. I love to eat it straight out of the can.